Packaging: There isn’t really anything fancy here, it’s sturdy plastic case with a cute rose gold tinted lid. I really like the mirror inside. 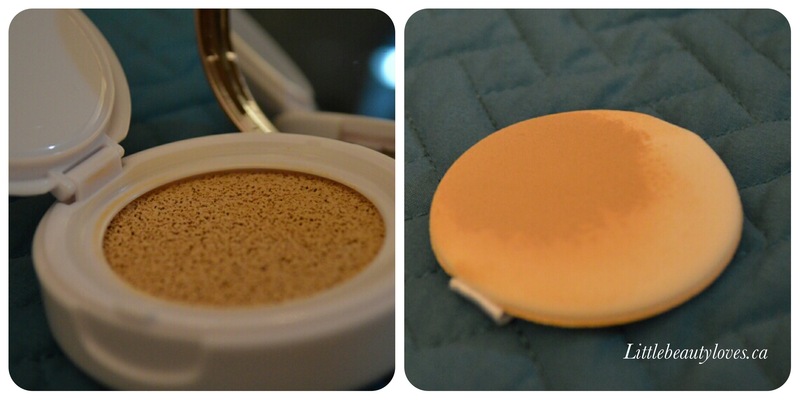 The cushion applicator that came with it is pretty good. I used it a few times and I think it would be really handy should you travel with this product. I did prefer using my beauty blender becase I could apply it a lot more quickly before heading out the door. 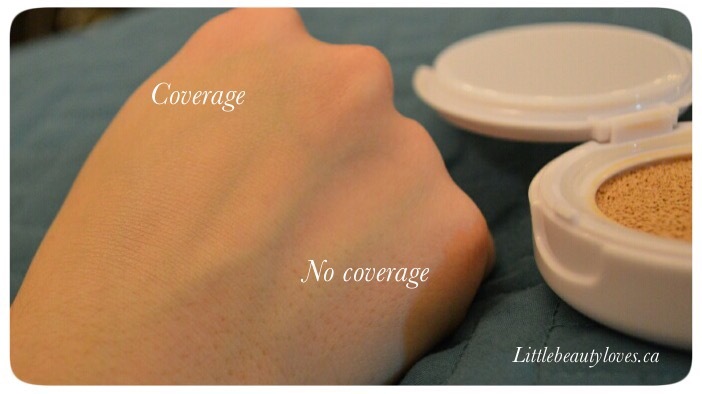 Coverage: This provides a sheer but buildable coverage. I would put on one layer of foundation then add concealer and powder for an everyday light coverage look. I did do two layers one day just to see what it looked like and it builds well. It didn’t feel heavy or look cakey on my skin. 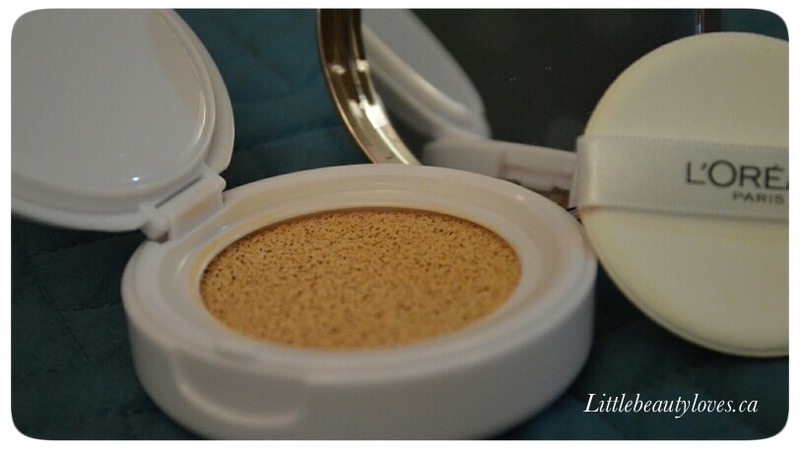 It comes on so easily, and the liquidity makes it a dream to blend onto the skin for a very flawless finish. It hid any fine lines and I felt like my pores were unnoticeable. I was suprized at the quality of this liquid foundation, I would completely forget that this was from the drugstore because it is so well formulated! 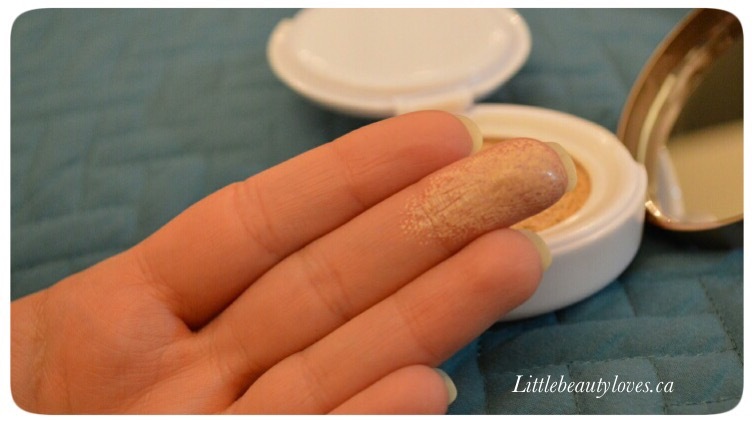 It also matched my skin tone very nicely and did not oxidize. Wear: To improve its longevity, I would highly suggest setting this with powder. I have dry skin and even I felt that this was really wet and needed powder. It felt very hydrating and gave me a very luminous glow. I looked radiant and awake, and I didn’t feel the need to put on any extra highlighter. I was able to wear this for a solid 8 hours, I did have it on for a max of 12 hours one day and it looked faded but still ok. I am thoroughly impressed! I don’t usually go for drugstore foundations but I am definately getting this one again. The price, colour, and coverage are all perfect for me. It’s also really great for my dry skin which is sometimes hard to get right because a lot of foundations excentuate my dryness and make me look so dull. If you have dry skin and in the market for a new foundation, I would highly suggest looking into this. What do you think of this foundation? Would you try it? 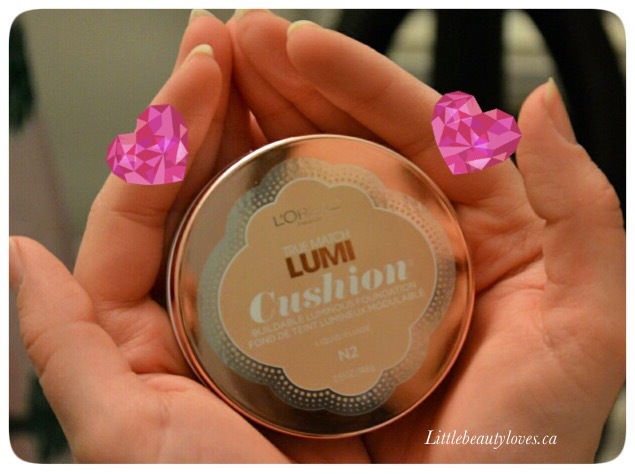 Any other cushion foundation you’re into lately? Also, look out for my reviews on Vichy and Bourjois foundations! It’s pretty cool luv! I like the coverage 🙂 thanks for reading! Muah!